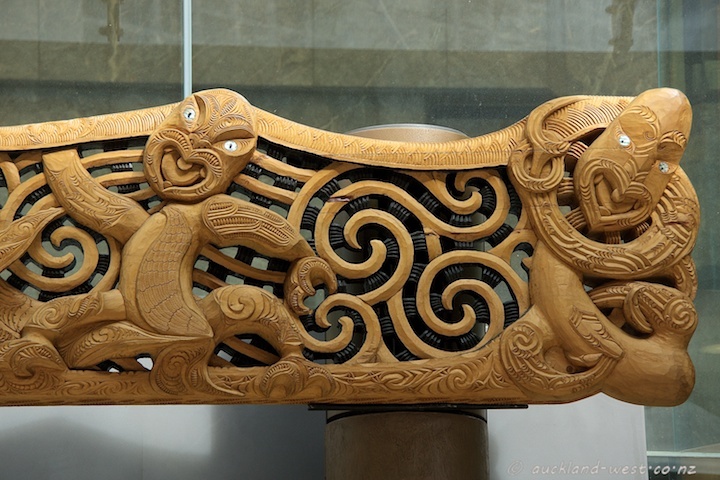 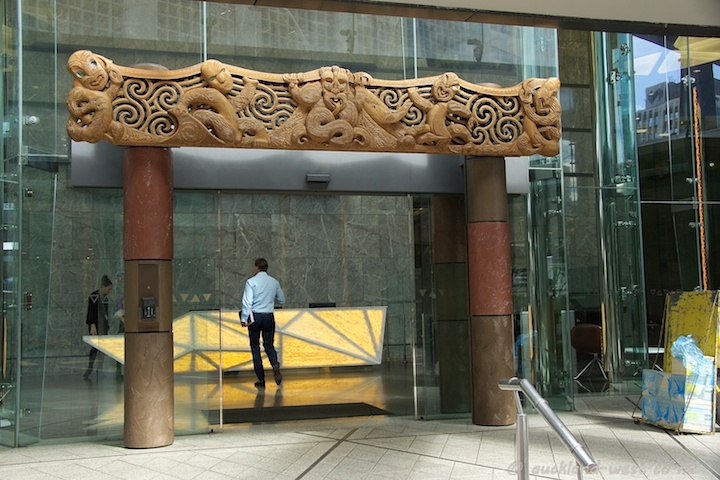 The entrance to the Auckland Council Building in Albert Street is marked by this beautifully carved lintel, superimposing a traditional Maori waharoa (gateway) onto the modern glass and concrete building. 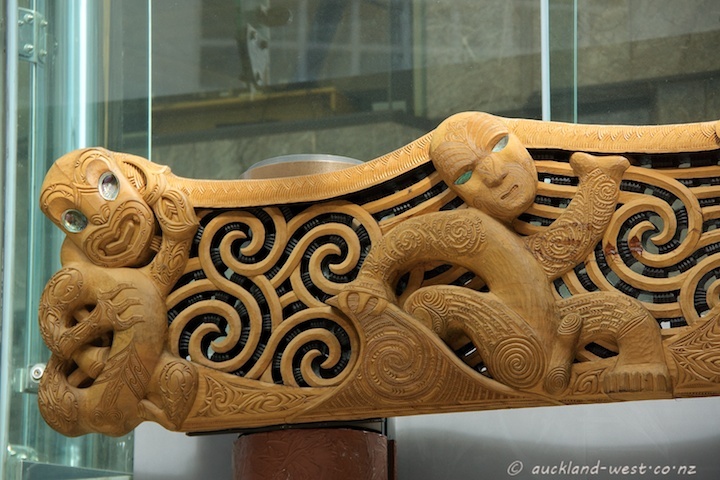 Last July, we saw the carvers at work at Silo 6, very early stages in the process. 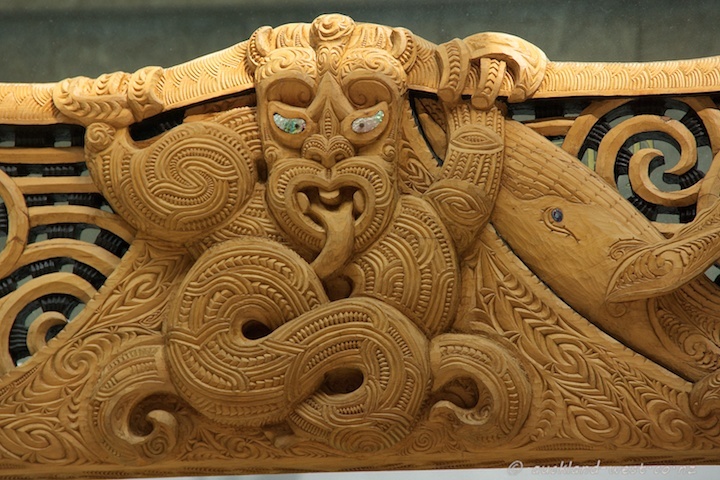 A beautiful work by a collective of local master carvers.